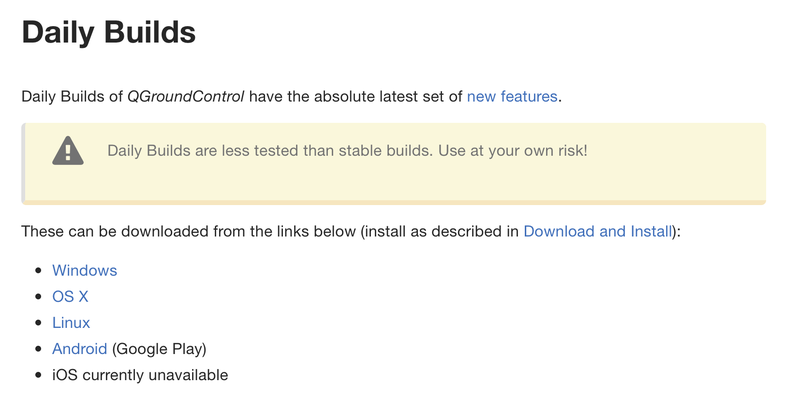 I've noticed on the documentation page that the iOS app is only accessible through Daily Builds. However, as shown on the screenshot, the iOS version is currently unavailable. I've looked at the source code and I see that the current build uses QtCreator to build the iOS app. As an iOS Developer, I'm wondering if I could contribute to build the native iOS version using Swift. If I could, are there any parameters I must follow or permission I must get? What do you mean by 'native'? Are you saying a ground station purely written with Swift? Or you just would like to mix swift into QGC? Yes, a ground station mostly written in Swift. It will rely on Xcode as the main IDE. Rewrite the whole QGC in Swift is bit large in workload, and perhaps not the most effective way for a cross-platform project like QGC, as it means duplication of a big portion of the codes for no merits. However mix Swift into existing QGC's code is reasonable, although you can not do this directly but need to be bridged by Obj-C/C++. 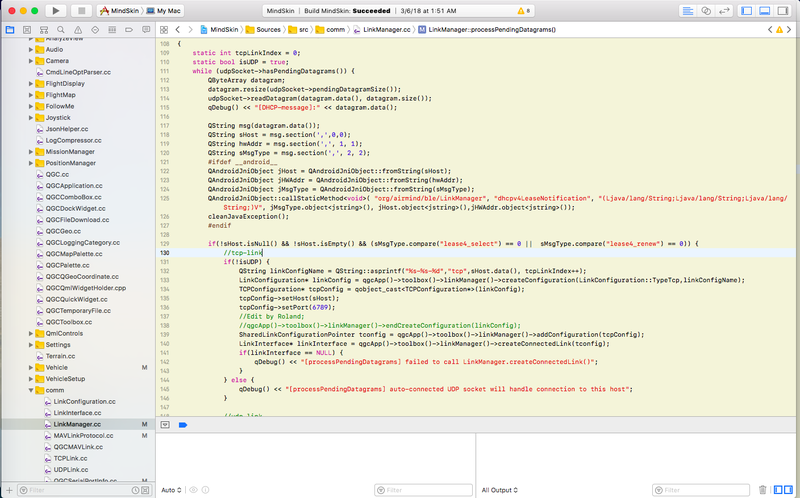 If using Xcode as main IDE is your major concern then it is already possible with QGC, need some extra setup though, looks like the screenshots below. You can nicely integrate Swift/Obj-C code with QGC source.